If you were born this month you are an Outstanding Opal or Tantalizing Tourmaline. 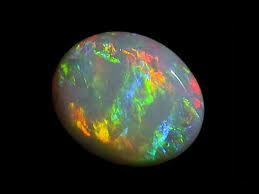 Opal " The Stone Of Karma " I am light reflecting light. I absorb and reflect. I teach you to think positive thoughts because what you put out always returns. 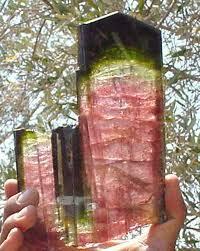 Green Tourmaline ~ " The Stone Of Rejuvenation "
Drink through my flow of fortification and healing properties. I rekindle your joy and zest of life. Pink Tourmaline ~"The Stone of Trust "
I remove past wounds and open your Heart to Trust in Yourself & Love. Purple Tourmaline ~ "The Stone Of Emotional Healing "
I stimulate the healing of the heart and produce loving conscienceness.